No matter how old we get, change can be hard. Even when we know things are changing for the better, we may struggle to cope with the emotions of adjustment. For those moving into an assisted living community, the transition may cause feelings of grief, anxiety, bitterness or isolation as they adjust to their new home. If this sounds like your loved one as they make the transition to assisted living, there are several things you can do to help them feel at home in their new surroundings. It’s natural for new residents to feel uneasy when they leave their homes and routine lifestyles. Especially when they feel as though the move to assisted living was out of their control (for health reasons or lack of a family caregiver), they may resent their new community and the life they think they left behind. However, senior living experts from Manse on Marsh, a community in San Luis Obispo, California, encourage new residents to embrace the opportunities of their new lifestyle. With an open mind, positive attitude and support from friends, family and staff members, it won’t take long for an assisted living community to start feeling like home. If you want to help your loved one feel at home in their community, it’s important to focus your efforts on providing support and encouragement and easing their anxieties about moving. Many experts claim that family members can be most helpful before, during and directly after the moving process. In her article “Making an Assisted Living Room Feel Like Home,” eldercare consultant and author Carol Bradley Bursack offers advice in this area. Change Perspectives – While you may be relieved that your loved one is moving to a place where they’ll have the physical and social support they need, your loved one has to leave a large part of their past life behind. Try to imagine this change from their point of view, and understand the difficult emotions this move might entail. Spread Positivity – Find the balance between sympathetic support and encouraging excitement. Your attitude towards the transition can influence your loved one to look forward to the good things their new home will offer. Once they’ve moved in, start referring to their community as “home.” This subtle shift can make a big difference on how you both perceive their new residence. Decorate with Meaning – Help your loved one make their assisted living suite feel like home by decorating to reflect their style and tastes. Display familiar items from their old house, such as a favorite painting, throw pillows and blankets, books or small keepsakes. Many senior living communities encourage residents to bring their own pieces of furniture as well. If your loved one has a favorite armchair, bringing it with them could provide added comfort. Offer Storage Space – Downsizing can be a difficult process. Your loved one may have trouble discarding beloved items that won’t fit into their new home. To help ease this burden, offer to store some things in your house, if you can. This way, your loved one can switch out seasonal items or redecorate later on and avoid the sadness of leaving cherished items behind. Be Present Before, During and After the Move – Show your loved one that you are there for them, emotionally and physically, throughout their transition. If they ask for help, assist them in packing or changing their address, and be there for the move itself. Try not to take control of the situation, though (allow your loved one the freedom to arrange their room how they wish), but be available to help at any point. To help them adjust, stay for dinner on move-in day, and visit regularly in the weeks to follow. 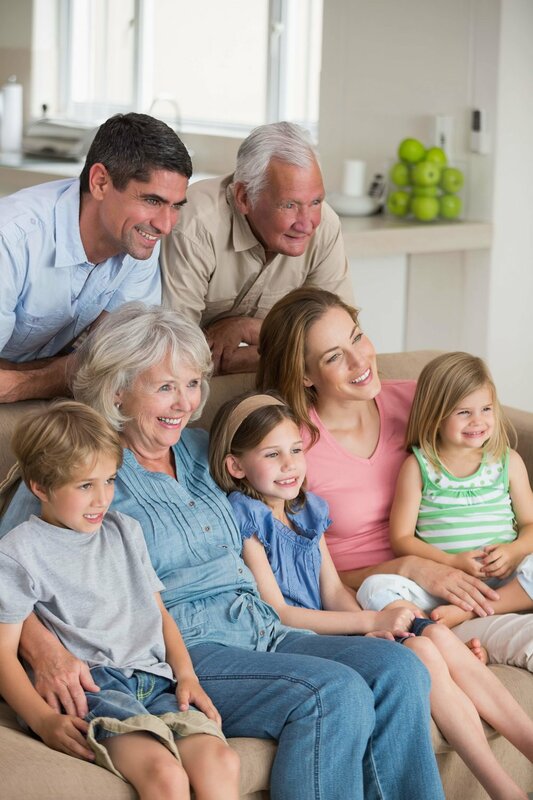 Encourage Socialization – Stay connected with your loved one’s new community and encourage them to get involved in groups or attend events that might interest them. You can even offer to go with them to a social gathering or program. Don’t be pushy or criticize their choices, but support them in finding their place in the community. Be Patient – Most importantly, be patient as your loved one adjusts to their new home. Feeling reclusive or disheartened is normal right after a big move, and these feelings usually pass quickly. The best thing you can do is show constant support as your loved one gets used to their new home. If you’re struggling to help your loved one transition to their new community lifestyle, try reaching out for help. Siblings and other family members may have great ideas that will resonate well with your loved one. You could also talk to a friend whose parents also made the move to assisted living. According to the team at Manse on Marsh, families shouldn’t hesitate to ask the staff or director at your loved one’s assisted living community for advice as well. They have witnessed their residents’ adjustment periods time and time again, and they can offer invaluable – and specific – advice from a first-hand perspective. Take advantage of all your resources for support, so you can help your loved one begin to enjoy their new life. The Manse on Marsh is widely recognized as the finest senior living community in San Luis Obispo County, California. Offering independent living, assisted living, respite care and palliative care, Manse on Marsh provides residents with the perfect blend of independence, privacy and safety all within the comforts of home. The Manse on Marsh is simply abundant living – no matter the lifestyle or service a resident may require. In addition to a vibrant lifestyle that empowers residents to thrive, residents of Manse on Marsh enjoy delicious daily dining, wellness-focused programming and a social calendar filled with endless activity and entertainment. The locally owned community offers a wide variety of cottage homes, along with studio, one-bedroom and two-bedroom apartment options. Located along the scenic Central California coast in beautiful San Luis Obispo, Manse on Marsh puts residents only steps away from fine dining, popular attractions, shopping and world-class medical care. Learn more today by calling (805) 541-4222 or by visiting www.themanse.net.